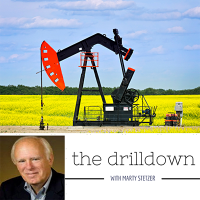 In this episode in our series on the Internet of Things (IoT) in oil and gas, we speak with Randy Krotowski, former CIO at Chevron and Caterpillar and a lifelong digital advocate. Randy will be on the keynote panel at the upcoming IoT in Oil and Gas Conference in Houston. This podcast gives you some great insight into the quality of speakers this conference has managed to assemble.